The River Paddling Protection Act has passed the house, and is currently under consideration by the senate. If you have opinions about wilderness paddling in Yellowstone National Park, now is a rare occasion when speaking up might have an effect. The bill is very simple. 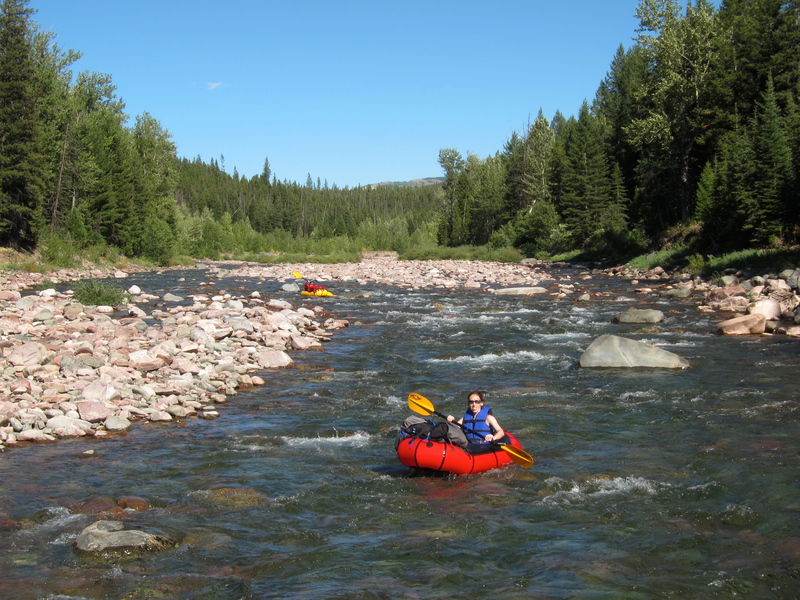 It nullifies several existing regulations prohibiting boating in Yellowstone and Grand Teton beginning three years after passage, and opens river within the parks to paddling after that time period as determined by the director of the NPS. That is it. Not Yellowstone, but perhaps it could be. Unfortunately and predictably, the public rhetoric has been largely vacuous and misleading, even from people who should know better. It is important to keep in mind that the bill does not mandate any particular outcome, beyond consideration. It is also important to keep in mind that no one has a good idea, to say nothing of good science, what the impact of opening certain rivers might be. This is largely because the NPS phoned in their analysis of these issues last year in the Snake River Headwaters Environmental Assessment. By far the most compelling reason I see to support the RPP Act is to take the NPS to task for that that dereliction of duty. On the other hand, I’m not wild about the precedent being set. While they occasionaly earn the moniker of the Dark Service, the post-Gingrich era of fee-demo has done a lot of harm to the NPS, and especially their fiscal ability to manage proactively. A charitable interpretation would be that if Yellowstone hadn’t spent the last decade fighting over a snowmachine management plan, didn’t have to solicit private funds to make Lake Trout control possible, and actually had funding to do proper research (e.g. not just counting elk from a plane a few times a year), they might be more disposed to give a fringe recreational issue due consideration. Presumably the intent of the bill is to allow the NPS to keep (for example) the Firehole, Madison, and central Yellowstone (between Fishing Bridge and the falls) closed to roadside access, while the Snake, Lamar, Black Canyon, Bechler, and upper Yellowstone could be opened, at least seasonally. The critique has been that such access will negatively affect wildlife, and further civilize the backcountry of the Greater Yellowstone Ecosystem. The former is likely, to a certain extent, and seasonal closures might be a good idea. The latter is a naive and frankly silly assertion which makes it difficult to not question the personal knowledge of the declaiments. Holding outfitters in the Teton Wilderness to the regulations which supposedly restrict things like number of stock per person, gear caches, and illegal permanent structures would have a substantive and noticeable effect. It is hard to imagine a world in which packraft traffic on the upper Yellowstone and Lamar would be in the same universe of significance of impact. More broadly, a felicitous interpretation of the 1916 Organic Act (which created the NPS, and has been frequently quoted in this debate) would focus more on quality of individual experience and less on quantity. Traffic restrictions in Yellowstone are inevitable, and places like the Lamar and Hayden Valley are downright scary on any given summer evening. Last August we saw a car almost hit a bison in the later, and almost got hit by a tour bus ourselves in the later. Good management would shuttle more people into the backcountry, cut down on the number of front country visitors, and mandate that everyone slow the heck down. Insofar as the RPP Act supports this end, I support it. If you do as well, writing your senator today would be a good idea.